American Standard is one of the longest running plumbing fixture companies in the industry. American Standard has been in business since 1875. American Standard today continues to offer their customers and potential customers the finest plumbing fixtures in the industry. The company offers everything from faucets, showers, sink and toilet seats. Today, toilet seats are becoming more efficient than ever before. Many of the companies are gearing their products towards eco friendly and the green movement and American Standard is no different. You can find American Standard plumbing fixtures in homes, hotels, airports and office buildings. They set a standard that most companies try to match. 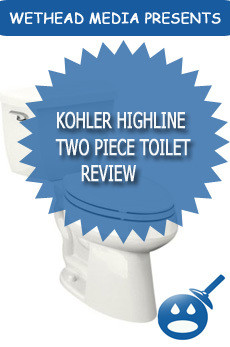 They offer a great product line and one of the best selling is the Standard Collection Elongated Toilet Bowls. The Standard Collection is durable and long lasting. It is a toilet series that you can count on. With the Elongated Toilet Bowl, you will get the toilet bowl only; the seat and tank are sold separately. Sometimes homeowners simply need to replace the bowl rather than the entire system. The American Standard Standard Collection Elongated Toilet Bowl comes with an Aqua Force Flushing System is designed to help conserve water as well as provide the strongest water force when it comes to flushing. With the Aqua Force Flushing System was designed to offer a flushing system that gives the user a clean and reliable flush every time. The Elongated Series includes a 2-1/8″ fully glazed trapway and a 2″ flush valve. The toilet bowl is made from strong vitreous china and includes a molded wood seat. 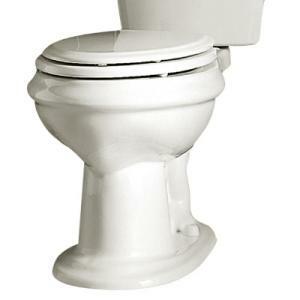 The rim height on the Standard Collectio n Elongated Toilet Bowl has a rim height of 16-1/2″. American Standard recommends that you use the 439.016 Toilet Tank with this bowl. 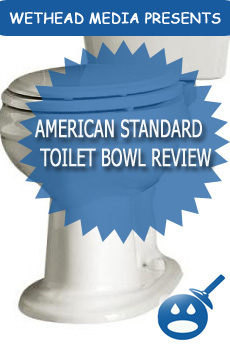 The American Standard Standard Elongated Toilet Bowl has 1.6 gallons per flush. The Standard Collection assembled is about 17.00 inches in width and 20.30 inches in height. This unit is not Energy Star Rated or ADA Compliant. This toilet bowl comes in your standard White color. It weighs about 68 pounds and is measured to be 17″ in height, which meets the industry standards. 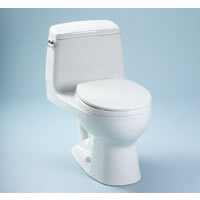 Most customers who have purchased this toilet bowl have said that it was easy to install and it was very affordable. Others found it had an excellent flushing system. If you are looking for a change for your bathroom, the Standard Elongated Toilet Bowl is a great place to start. The Standard Collection also comes in faucets, shower and complete toilets. The series was inspired by the 1920’s and gives a classic and elegant style to your bathroom. The Elongated Toilet Bowl can be found in your local home improvement stores like Home Depot. The price is an affordable $ 161.00.